Welcome to our Disney Destination Planning site. We have so much to share with you! 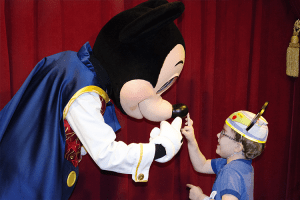 Mandi, our fearless leader, began this blog in early 2014 as a place for Disney fanatics (just like her) to find tips on Disney vacations, money saving trip and merchandise deals, insider secrets for Disney Parks and Resorts, and more! Now, we’re one of the most sought after and trusted sites for information on all things Disney including: Walt Disney World, Disneyland, Adventures By Disney, Disney Cruise Line, and Disney’s Aulani, Hawaii. Whatever your destination, we are here to make your Disney Vacation planning a magical experience. We can even recommend a wonderful Authorized Disney Vacation Planner to help guide you step-by-step! Thanks to our amazing contributors who travel frequently to Disney Destinations (it’s a tough job but somebody’s gotta do it! ), we share the most relevant and up-to-date information on all things Disney. If you want to make sure you’re one of the first to know, sign up for our newsletter below and be sure to like our Facebook Page by clicking here.